Think Almond Tea but fruitier: that’s our Almond and Cherry Black Tea. This loose leaf China Black Tea reminds of the famous Bakewell tart pudding with every sip. It has a powerful aroma, both before, during, and after brewing, and flavours that are full, creamy and, naturally so, fruity. No matter the time of day, our very special Almond and Cherry Tea aims to please. It is made using only the finest quality Chinese black tea leaves accompanied with equally quality-assured natural flavouring. But that’s not all Almond and Cherry Black Tea can offer. In fact, when consumed as part of a healthy and active lifestyle, this wholesome, flavoursome, awesome beverage can lower “bad” LDL cholesterol, reduce the risks of developing type-2 Diabetes, support the immune system, aid with digestion, and potentially, although studies are preliminary, fight certain types of cancer. All of this and more is waiting to be discovered with Almond and Cherry Black Tea, brought to you by The Kent and Sussex Tea and Coffee Company. All of our teas and coffees are packed fresh to order here in our Pluckley based factory, nestled away in the beautiful Kentish countryside. Almond and Cherry Black Tea is one of our favourites! But with over 1,000 different types of tea to choose from, why this one? Because it is part of a family that continues to grow with each passing year: the family of flavoured teas. Flavouring tea is far from a new phenomenon, one of the first examples, an early form of Chai Tea, being created some 9,000 years ago. And then came Earl Grey Tea around 200 years ago, a beverage known and loved around the world. Earl Grey has mysterious origins. No one knows how it was made, or who made it. No one even knows why it is called Earl Grey, sharing the same name as the 19th Century British Prime Minister and 2nd Earl of Grey, Charles Grey. A theory is that while on a diplomatic trip to China, Lord Grey came across a child drowning in a river. He ordered one of his men to retrieve the boy, who managed to pull him out of the river and save him. Confronted by a grateful father, Lord Grey was presented with tea leaves scented with bergamot oil, the vital ingredient of Earl Grey Tea. Eventually, the leaves were named in his honour, or so the story goes. Historians have since proven that the late Prime Minister Grey never once visited China, and so the tale is completely unfounded. No one knows the real story. It is unlikely that we ever will. However, flavoured teas such as Earl Grey, such as Chai Tea, have opened a door of possibilities. Now we have amazing teas such as Gingerbread flavoured Green Tea, Milk Oolong Caramel Tea and, of course, Almond and Cherry Black Tea. Who knows what’s next. Contains Allergen: Nuts - almonds. How to Serve: Almond and Cherry Black Tea is best served black, although lemon, sugar, milk, or even honey may also be considered as optional extras. The choice is yours. 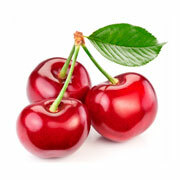 Tasting Notes: This beverage has a dessert-like quality with defined flavours of cherry. It also leaves a sweet, smooth aftertaste, reminding you of its deliciousness long after you’ve drained your cup! Health Benefits: If you, like many, are trying to lose weight, then Almond and Cherry Black Tea is a great place to start. But why? The answer is twofold. All Black Teas - including our Almond and Cherry Black Tea - have metabolism-boosting abilities. A metabolism refers to the chemical reactions that take place in your body’s cells. Broadly speaking, it essentially converts the fuel in your food into energy, which is then used to power near enough everything we do. A boosted metabolism can help your body to burn fat quicker, and far more efficiently. Almond and Cherry Black Tea does just that. Furthermore, relaxing with your favourite brew on the sofa is, potentially, enough to help you lose weight. Don’t believe us? There is actually science to it! Chronic stress (i.e not stopping to relax with a nice, hot cup of tea) disrupts our sleep and our blood sugar levels. This leads to increased hunger and comfort eating. Eventually, this can lead to even higher levels of stress and even more disrupted blood sugars. Not only might this cause unhealthy levels of body fat, but also an increased risk of Type II Diabetes! The solution to this is simple: stop, then brew up a cup of Almond and Cherry Black Tea and relax.